A Passion for GTA Real Estate... Welcome to my website. Bringing People and Their Dream Homes Together... with many years experience in the marketing / promotions / customer service industry, many who have worked with me in the past in general can inform you of my dedicated customer service relationships and results prior to obtaining my Real Estate Licence. Condo or house ? Resale or new? In the GTA Real Estate market, there are so many choices and decisions to make. Why not make your Real Estate experience a pleasant one with the professional advice of a REALTOR, Firas Swaida, your Mississauga Real Estate Agent. Mississauga Real Estate Agent Firas Swaida is a motivated professional. I specialize in Real Estate Investing Mississauga, with superior knowledge and tools to help you succeed in the investment marketplace. On the lookout for condos for sale in Mississauga? Let Firas Swaida help you find your new home ! Newspaper advertising, visual tours, my personal website, my company's corporate website, the MLS website, open houses, for sale signs, social media advertising, and word of mouth. Selling Mississauga and Toronto homes and marketing GTA homes for sale is Firas Swaida's specialty. If you're looking to get the best price for your home, with unmatched service, you've come to the right REALTOR. 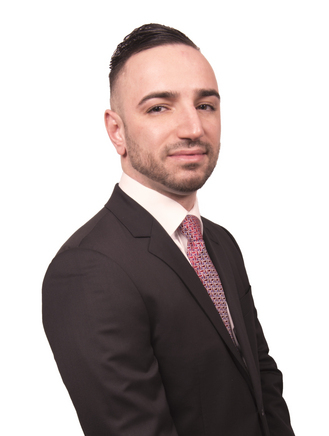 Call Firas Swaida, your Toronto Real Estate Agent today and experience what quality service and customer commitment is all about. Education: Finance Degree from Sheridan College.